Imagine the Both of You Stargazing Under an Awesome Star Filled Night Sky, Searching for Constellations and Shooting Stars, then You Realize You're Still in Bed! Buy your STARSCAPES Professional StarBiz "business in a box" today and start your own SPACE Certified business (home based). Lisa made $3,700 her first day. Mark bought a new car in just a couple of weeks. Rodney made $95k his first year part time just promoting on FaceBook. Sound exciting? There's 650 more testimonials on our site. W H A T ' S I T A L L A B O U T ? What if the beautiful rainbows never ever came back for you or your children or your grandchildren... never to be seen again. Would anyone notice? What if the magnificent mountains, the vast oceans and beautiful waterfalls that you love to look at disappeared? It would be a tragedy. Well, guess what? Something in our lives has disappeared. It's the stars. Nobody in the city sees much of the beautiful starry nights anymore. The stars that you fell in love under. The stars that are in the lyrics of most all of the love songs. The stars that kept you in awe and wonder as you enjoyed them with your friends in the back yard. Soon, they'll all be gone, as the city lights quickly cloud and consume the view. The stars are gone, and the people want them back! Stargazing is primal, instinctive. We are hardwired to look up at the stars and experience the wonder and awe of the universe. Stargazing is not only relaxing and stress relieving, romantic and educational, but you're actually witnessing God's first masterpiece, the creation of the universe. Viewing the heavens puts us in a place of reverence. It's awe-inspiring and inspirational. Is This Business For Me? Most children are afraid of the dark; but no more! Most adults are uncomfortable in the dark at night, especially away from home in a strange room. Who hasn't experienced unfamiliar, unsettling noises in a hotel or motel room? At night, even at home, you try to fall asleep, but every worry of the day culminates to keep you from getting a good night's sleep. Not anymore! Everyone loves stargazing, we've just haven't notice them lately. We're too busy. The stars have died out for us. Here's your chance to be a local hero. You're going to become a respected STARSCAPES Illusionist! You're going to bring the stars back. This is the one and only product that actually, literally makes people's jaws drop in awe when they see it! They truly cannot believe their eyes! One minute they're in their own bedroom looking at a white ceiling, the next minute, the lights go out and they're camping under the stars! 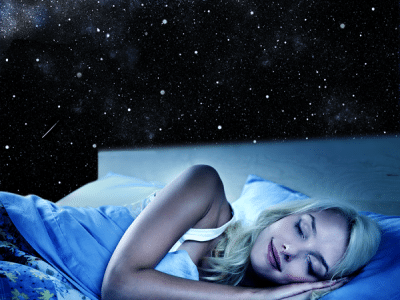 Children now happily fall asleep on their own under a blanket of stars. The worries of the day just fade away, as adults, even those with PTSD, fall asleep quicker and wake up happy and more refreshed. NO experience needed. Must be over 18 to get the amazing FREE sample. Get yours today and you'll soon discover that everyone that sees it wants to buy from you! Order the Discovery Package with the Amazing STARSCAPES sample. It's worth $39. If you act now, you can get it FREE today. 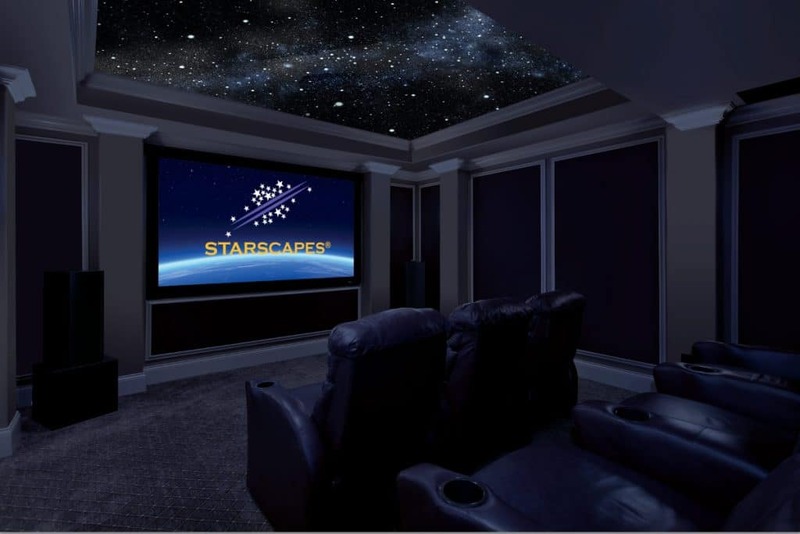 Our founder is a professional magician that has created an incredible illusion of the starry night sky on people's bedroom ceilings. Using the proprietary galactification machine and just two teaspoons of our invisible magical liquid that amazingly coats the entire ceiling, the result is an incredible, ultra-realistic, and astronomically correct recreation of the starry sky with constellations like the Big Dipper, Pegasus the flying horse, Orion, Hercules, the Northern Cross, the Southern Cross, and the Milky Way galaxy, and even shooting stars. Thousands of twinkling stars are visible. Even deep sky objects like nebulae and open star clusters and famous stars like Vega, Antares, Arcturus, Betelgeuse, and Polaris, our North Star. All visible to the naked eye while comfortably lying in bed each and every night. Bedtime becomes a haven of peace and tranquility as it once was for our ancestors before the city lights took them all away. It definitely looks like "rocket science", but you will create this illusionary cosmic ceiling quickly in just about an hour or so in any room. You need NO experience and your training is over in just a weekend as you sit and watch the DVD on your sofa. We currently have an 83 year old man doing this, two 70 year old women, and we've taught a 9 year old boy. You can do this. You'll never have more fun and gratification doing anything else. Order your $39 Discovery Package today while you can get it FREE, to experience the magic for yourself, with the Amazing STARSCAPES Sample Cosmic Portal. Just lay it on the floor and turn out the lights. Watch out! You'll feel that you can fall right into that window to the universe next to your feet! 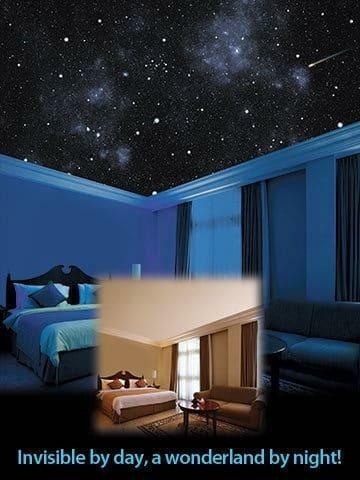 Put it on your ceiling and experience stargazing in bed! Show the Portal to your friends and family and you'll be booking jobs before you're even in business. That's right, you can try it out before you get into the business. Act today, and you can get the amazing Discovery Package for FREE! And while you're waiting for that to arrive at your doorstep, download and enjoy our VR STARSCAPES app in the play store and view it with your Virtual Reality headset! You'll be amazed! We ship your order out the very next day to almost every country in the world. Amazing Sample Discovery Package available.